Here at Siu Orthodontics, we know that no one likes a mouth full of goopy putty and that impressions can be a major hassle when starting orthodontic treatment with traditional braces or Invisalign. In an effort to keep up with the latest and greatest technology, along with providing our patients with the easiest treatment, we are now proud to introduce the iTero Scanner as a tool that we now utilize. 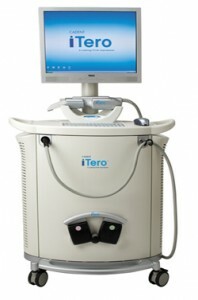 The iTero Scanner is the latest technology for digitally capturing an image of your teeth. It is far more precise than any impression that we could take in the office with the old method of a mouth full of messy impression material. This technology lets us visually see the outcome on the computer as we are scanning the teeth. The scanner head fits in the mouth easily and we are basically taking digital photos of the teeth and sending them directly to the computer. Check out the video below for an introduction to the iTero Scanner and how it works. The iTero digital data can be sent directly to Invisalign for a quick response from Invisalign and will help start the process sooner. We are very excited to be using this amazing tool in our office. If you have any other questions, or would like to schedule your appointment, please give us a call.